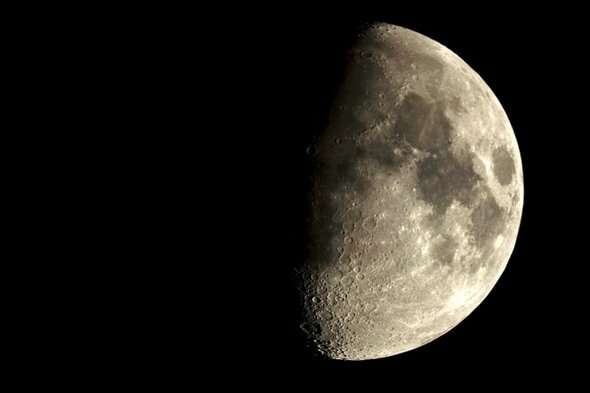 The dream of a human habitat in orbit about the moon came a step closer on September 27, when NASA and the Russian space agency (Roscosmos) signed up to a common vision for future human exploration. The project, a follow-up to the International Space Station (ISS), involves a facility placed in orbit somewhere between the Earth and the moon – a region known as cis-lunar space. Seen as a stepping-stone on the way to deeper space exploration, it has been dubbed the Deep Space Gateway, DSG. NASA’s new heavy-lift rocket, the Space Launch System, which is still in development, will enable the construction of DSG. It will be supplemented by Russia’s less-powerful Proton-M and Angara rockets. However, it is misleading to portray this as a purely Russia-US partnership, because the three other ISS partners (the European, Japanese and Canadian space agencies) are highly likely to be involved too. Since Apollo 17 came back from the moon in 1972, no human has ventured further from home than “low-Earth orbit”, an altitude of only 400km in the case of the ISS. The ISS began construction in 1998 and has been continuously occupied by (usually) six crew since November, 2000. Previously planned to last until 2020, the project has been extended until 2024 and could be eked out longer. However it is ageing – and many would argue that it should have already been replaced. It has cost somewhere in the region of $150bn. That isn’t cheap, but, to put it into context, it works out as about the same as what humanity has frittered away on buying lipstick over the same 20-year period. We can expect a comparable or larger price tag for the DSG, which is due to begin to be assembled in the mid-2020s, assuming that NASA can get its heavy-lift Space Launch System ready in time despite a precarious funding situation. The DSG derives its name because its position beyond the deepest part of Earth’s gravity well, the strongest part of the Earth’s gravity field, which means you need less energy to launch a mission from there. That makes it a great staging post for departure of human expeditions to the lunar surface and more distant destinations such as Mars. It could also act as a receiving facility for initial examination (and quarantine, for planetary protection purposes) of samples brought back from Mars or other bodies. Unlike the ISS, the DSG would not be continuously inhabited. Current plans call for one annual 42-day visit by a four-member crew, at first. When unoccupied, instruments on the DSG could continue to collect useful scientific data, especially when close to the moon. It won’t be placed into a low lunar orbit, but into special points in space such as where the gravitational attraction between the Earth and moon are balanced. This allows it to follow a “near rectilinear halo orbit” (see video below). From the moon’s point of view, the DSG would repeatedly sweep low over one pole, offering great opportunities for scientific measurements.At other times the DSG may sit further from the moon, in a halo orbit about a position on the moon-Earth line known as the L₂ Lagrange point. The balance of gravitational forces here makes it possible to “park” a spacecraft to make observations. However, these orbits are only quasi-stable, so some adjustments would be necessary to maintain the DSG in these configurations without floating away elsewhere. The Canadian Space Agency has suggested the use of a solar sail to do most of the work, rather than using thruster fuel. I think that is a great idea, because solar sails, which get a push from radiation pressure, have not yet been trialled adequately to test their potential – so this is an opportunity to assess how to best work them. Apart from their use in manoeuvring around the solar system, solar sails may one day propel probes to the nearest stars. The DSG is all still a very long way from reality. However it is a logical next step after the ISS – and any long-term multinational cooperative enterprise in space has to be a good thing, given the bickering between nations going on down here on Earth. It may not lead us very quickly to Mars though – government-funded projects are often cash-strapped, meaning the plans could lag behind private enterprise efforts such as Elon Musk and his super-heavy-lift Interplanetary Transport System, or BFR. This is only Musk’s first step. Speaking at the International Astronautical Congress in Adelaide, he revealed his own ambitious plans for a lunar base followed by rockets to Mars by 2022. The ConversationWhichever way it comes about, it would surely be inspiring to see astronauts travelling beyond low Earth orbit again. A refurbishable platform such as the DSG somewhere near the moon would offer many ways to study both the moon (personally I’d like to mount an X-ray spectrometer on the DSG to map the distribution of the chemical elements across the lunar surface) and the interaction between Earth and the sun.